Source – Magrudy’s Bookshop for 98 Dhs. the gentlemen what was gluten and why was it free? He explained to her what Coeliac Disease is and listed all the foods he couldn’t eat. She then explains “I clearly remember thinking that I may as well just give him the little plastic tray to chew on!”. Ironically 10 years later she was diagnosed Coeliac and started her quest for tasty gluten-free food. 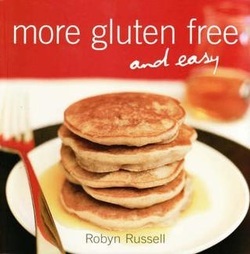 The book has tips for gluten-free baking based upon trial-and-error experience, and loads of yummy recipes. From Banana Buttermilk Pancakes to Chilli Coconut Crab Cakes, from savoury slices to salads and guest-worthy main courses, recipes come from a variety of cultural influences and would be at home in a main-stream cookbook. Having tested many of the recipes I especially love the beetroot and fetta salad while the full page colour photos had my GF daughter drooling over the cakes and desserts. 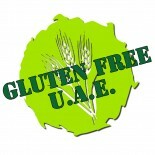 This entry was posted on 05/10/2011 by glutenfreeuae in Reviews and tagged book review, celiac, glutenfree, health.